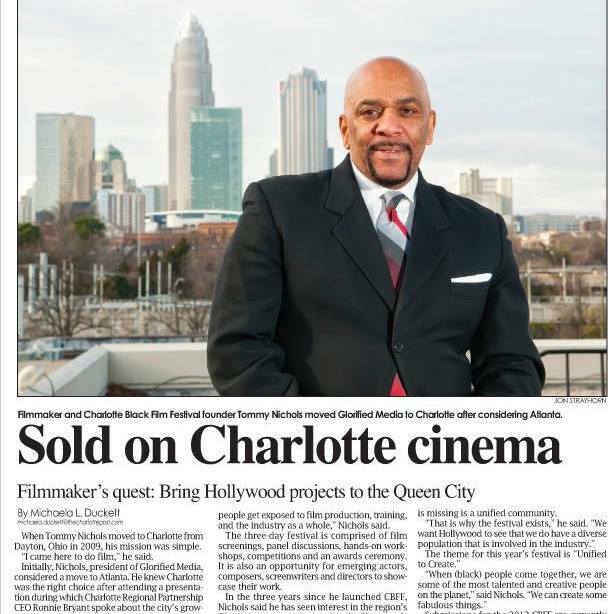 In December 2009, 30 days after moving to Charlotte I saw a presentation that film production in the Carolina’s would be a major economic growth industry. I immediately researched to see what African Americans were doing in the space and found nothing. Knowing that without representation African Americans would miss out on another economic train only to participate on the caboose side of economics fighting over fumes. 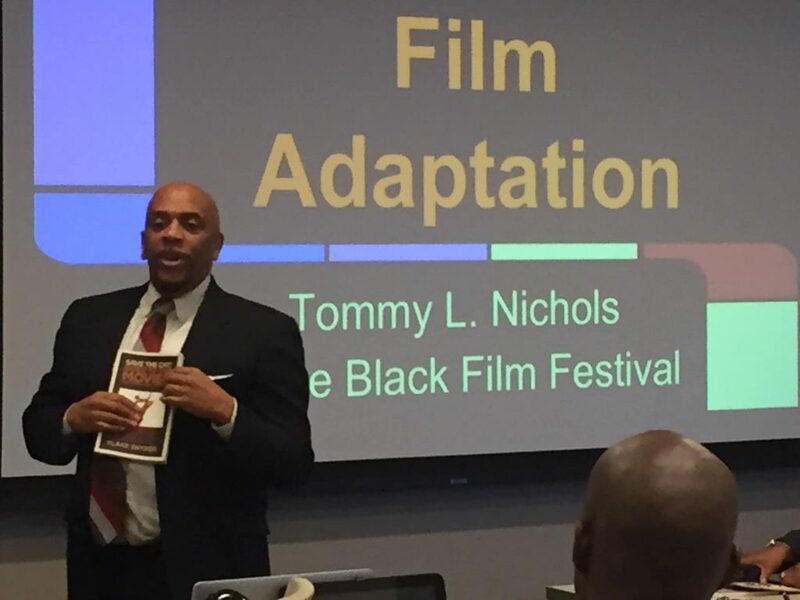 By faith I created the Charlotte Black Film Festival as an economic and workforce development organization to assure that when that train comes through the Carolina’s African Americans would be fairly represented by, holding the stakeholders accountable, workforce development training and collaborating as a stakeholder with the producers of the economic train. 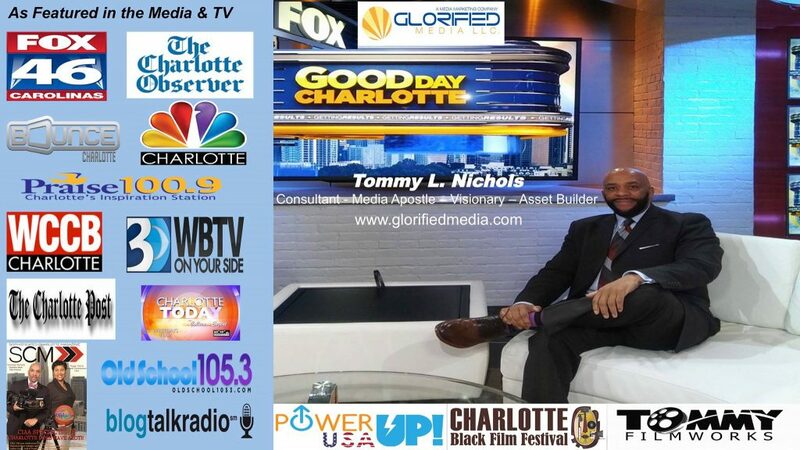 Tommy Nichols is the CEO of Glorified Media (GM); a media marketing and management company that creates and manage media based assets. Under GM umbrella is The Charlotte Black Film Festival and PowerUp USA, an innovative youth technology and media training company. He was appointed by the Mayor of Charlotte to the Board of the Charlotte-Mecklenburg Public Access Corporation ( TV21). While attending Wilberforce University a keen business acumen and strong appreciation for filmmaking was developed. Through continued education, Nichols subsequently graduated from The National Federation of Entrepreneurship, The American Guild of Court Videographers, and The Artist as an Entrepreneur Institute. He later completed extensive and specialized training at the Hollywood Film Institute in New York, which boasts Quentin Tarantino and Spike Lee as graduates. With over twenty years experience in technology, media and entrepreneurship, Nichols has managed multi-million dollar projects to include participation in a $10 million dollar district -wide computer and network integration project for the BDM/Dayton Public School System; and the procurement of a $1.2 million dollar technology upgrade project for the Department of Defense. The first quarter of 2019 you can expect the launch of his new book “Coding Black” and IOCTV.com a 24-hour new media distribution network, and the movie trailer for his Feature film “Soul Search”. His professional accolades are numerous and includes: Director of Photography for the movie, “Johnny, Mattie and Smooth White Stone, II and III,” (filmed in Ripley, Ohio and Ontario, Canada); writer and director of four stage plays, recipient of “The Business Journal’s 40 under 40 and “The YMCA Black Achievers awards. He has been featured in the Charlotte Observer, Charlotte Post, and Sophisticated Charlotte Magazines, just to name a few. His experience and reputation in technology, media and business has made him a sought after Producer, Consultant and Workshop Presenter and Panelist. Mr. Nichols attributes his success to his hard work, faith, and being a cheerful giver.